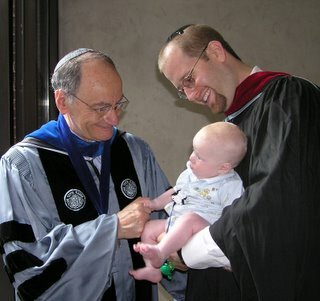 Dr. Ismar Schorsch, chancellor of the Jewish Theological Seminary (JTS) in New York, will retire in June. In that role, he has been informally considered the closest thing that the Conservative movement has to a leader. Schorsch, 70, met with The Journal to assess his two decades heading the seminary and his hopes for the future. The Jewish Journal: Many observers say the next leader of the seminary has to be more than an academic or a capable university administrator — that the next leader will have to assume a crucial leadership role with the Conservative movement. How do you see the role of the next chancellor? Ismar Schorsch: The chancellor is the head of the Conservative movement. And the chancellor often speaks of theology and religion, [giving] voice to Conservative Judaism in the public arena. JJ: What did you originally set out to accomplish as chancellor? What do you think you did accomplish? IS: I can’t say I came in with a well-formed agenda. 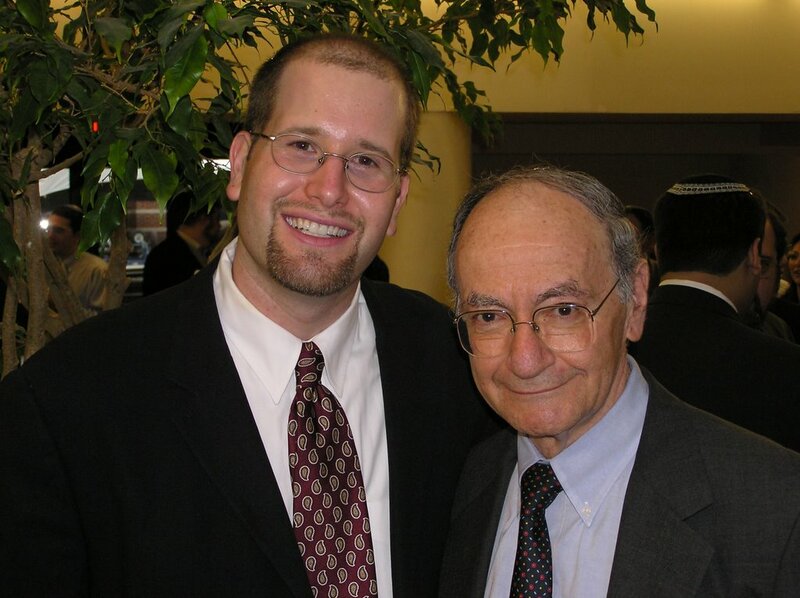 Early on in my career, I did set a set of priorities for my administration — I was determined to make Jewish education the top priority of the seminary. I never wavered from that goal. I would say that my greatest accomplishment was significantly and largely the investment in serious Jewish education. We created the William Davidson Graduate School of Jewish Education, which is by far the largest school in the country. The School of Education has had an enormous impact on the other schools of the seminary. Many of the rabbinical and cantorial students are taking a masters of Jewish education. They are clearly going to be advocates of Jewish education w hen they finish their education. There will be a team effort in synagogues — you will have the rabbi, the cantor and the educational director all committed to serious education from preschool to adult learning. I think the creation of the School of Education has been an enormous catalyst for what I think is the only effective, viable response to the challenge of assimilation in American society, and that is serious Jewish education. JJ: What has been your greatest challenge as chancellor? IS: When I came in, we were still in the throes of ordaining women rabbis. We were not admitting women to cantorial school, and I immediately set about admitting qualified women students. And then we promoted the employment of women rabbis and cantors in the movement. So I would say that the integration of women students into the movement and cantorial school occupied my attention in the first [half of his time as chancellor]. JJ: You helped integrate women into the movement. But they are not at the place they necessarily need to be: The Rabbinical Assembly’s (RA) report last year found that women make less money and don’t serve as leaders of major synagogues. IS: I think the publication of the study itself is an important step. It’s crystallized the problem and intensified the advocacy by the RA and the seminary for equalizing pay and employing women in larger congregations. I think that’s happening. There’s been a positive response to the critical study of women in the rabbinate. There are women getting more interviews in larger congregations and getting positions there. JJ: Why hasn’t it happened yet? IS: Cultural change is slow. It’s naive to expect a change of that magnitude to occur from one year to the next. The transition may be frustrating, but I think it’s inevitable. Proactive measures and advocacy can accelerate the process but not eliminate it. JJ: Why are you retiring now? IS: There are some other things I’d like to do. I’m first and foremost a scholar; I came from the faculty, and I want to return to the faculty. I want to write a number of pieces that I have been working on, and I want to return to full-time teaching. JJ: The seminary won’t ordain openly gay rabbis. Do you see a change coming in the future? Do you think a part of the movement will break off because of the gay rights issue? IS: I want to address the larger issue of what direction the Conservative movement should take. The Conservative movement should reaffirm the correctness and power of its base with Jewish law ... the Conservative movement should not try and be a rainbow. It needs to reaffirm the validity of traditional Judaism — that’s what the word ‘conserve’ means. The Conservative movement was created as a reaction to extreme reform in this society, which knows no limits. It is incumbent upon the Conservative movement to advocate traditional Jewish values and practice. JJ: Who are the leading candidates to replace you? IS: I am not involved in the search for my successor. JJ: What do you consider a failure in your term or something you did not manage to accomplish? IS: I would have liked to accomplish more in Israel. I think [the Conservative movement] is still small and fragile in Israel. In the mid-’90s, I led a national campaign to eliminate the office of the chief rabbinate, to have the State of Israel treat Reform and Conservative rabbis exactly as they treat Orthodox rabbis, to achieve a measure of separation between Orthodoxy and State of Israel. I can’t say that campaign has succeeded. JJ: Ehud Bandel, the head of the movement in Israel, the Masorti movement, was let go this summer. How can the movement grow in Israel? IS: The movement [here] has not been [good] about raising money [for Israel.] The great success [there] has been the Schecter Institute of Jewish Studies. The Schecter Institute is having an enormous impact on education in the State of Israel through the Tali schools, which is a network of Conservative Israeli schools. I think more financial support is critical to grow the movement in Israel. Good leadership would help a lot. The resistance to non-Orthodox growth in Israel is formidable. JJ: The Ziegler School of Rabbinic Studies in Los Angeles was founded from the University of Judaism during your leadership and didn’t please many on the East Coast, as it created a center for rabbinic study on the West Coast. Do you think JTS will always be the leading organization of the movement? How would you categorize the relationship between the East and West Coast schools? IS: The seminary, to its enormous credit, has created a number of very significant institutions in the Jewish world. It created the University of Judaism after the Second World War, and it created the Jewish Museum in New York 100 years ago, which today houses the finest Jewish library outside the State of Israel. The seminary created the Schecter Institute, which is today a fully accredited Israeli institution. The seminary has a very fine track record in spawning institutions that grow to maturity and gain independence. That is not something to be diminished. I’m proud of the accomplishments of the University of Judaism; our relationship with the Ziegler school is excellent. Our students spend a year together. We do placement together. There is a good deal of traffic and collaboration. There is neither animosity nor competition. What you have today are a number of Conservative seminaries producing leadership for the Conservative movement. What has developed over time is that you have a solar system of Conservative rabbinical institutions. JJ: Is that going to weaken JTS’s prominence? IS: The seminary has not been diminished. Its impact on the larger world has grown by the virtue of its offspring. JJ: What do you think of breakaway synagogues that do not identify themselves as Conservative, despite shared values? IS: It’s a phenomenon worth paying attention to. I think it’s an important development. The thrust for post-denominationalism is largely coming from the Conservative movement — it’s not coming from the Reform and not the Orthodox movement. I think we should not embrace the rhetoric of post-denominationalism blindly. It is a rhetoric that cuts to the very core of the social capital of the American Jewish community. American democracy is promoted by the private sector, and the organized Jewish community is funded by the synagogue membership. To weaken the synagogue weakens the foundation of the organized Jewish community. Two-thirds of JCC membership comes from the synagogue. To weaken the synagogue base is to weaken the superstructure of the organized Jewish community. Therefore, I would be very careful of anti-synagogue rhetoric. JJ: The Reform movement has recently moved to the right, and Orthodoxy seems to be thriving. Why do you think Conservative Judaism is important for American Jewry? IS: The right-wing movement of the Reform should embolden us to affirm our traditional base. The climate is in our favor. “Conservative” is not a dirty word anymore. In a climate that is increasingly sympathetic to traditional values, this movement ought not to be shy of advocating values. I applaud the return of Reform to the center — I believe that the center is where most Jews want to be. I believe the cohesion of Jewish community lies in the center and not on the extremes. It is precisely that importance of the center that makes Conservative Judaism so vital to the American Jewish Community. Without a center you have two wings that do not have contact with each other. The Conservative movement is the bridge that keeps this community together. Eliminate that bridge and you get sects and not a religious community.